Universal Studios Florida has expanded The Simpsons Ride area to include some of the more iconic locations from the popular TV show. 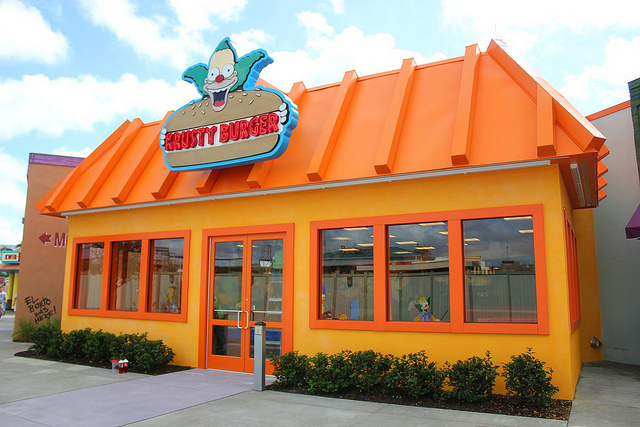 Hungry customers can visit formerly fictional eateries like Krusty Burger, Cletus' Chicken Shack, the Frying Dutchman, and Luigi's Pizza. 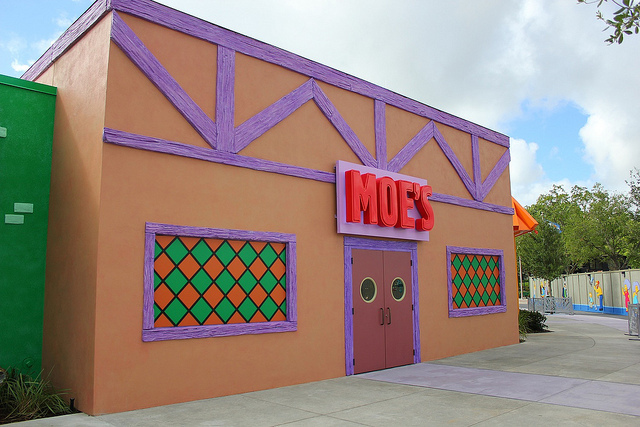 They can even stop by Moe's Tavern for a cold Duff Beer. Coming attractions include the Duff Brewery, Lard Lad, a statue of Jebediah Springfield, and Kang & Kodos' Twirl 'n' Hurl ride. They are still under construction and are set to open within the next couple of months.